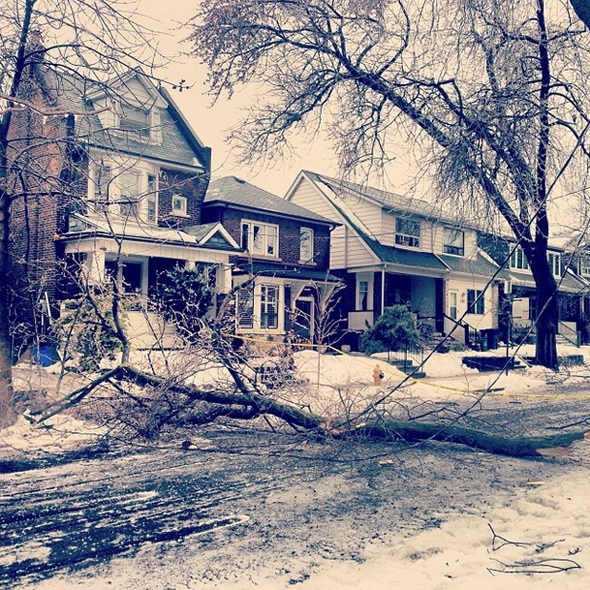 Toronto has been hit by a sweeping ice storm that has left hundreds of thousands without power, and much of the city paralyzed. 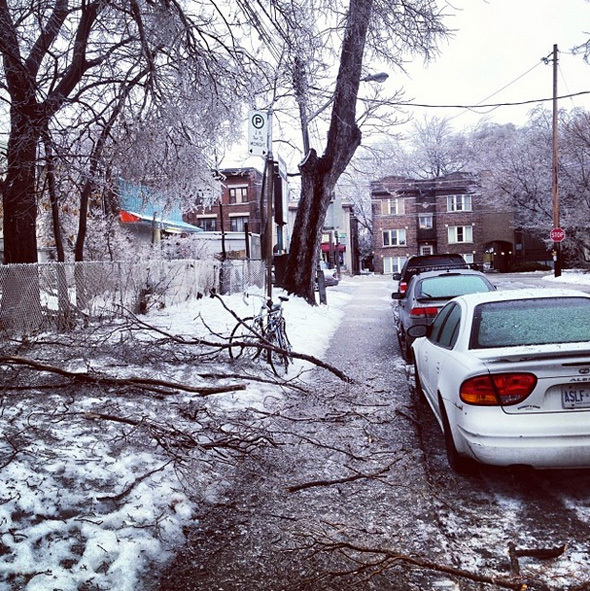 Downed trees and power lines are a common sight on our streets just as streetcars have disappeared on account of frozen power lines. 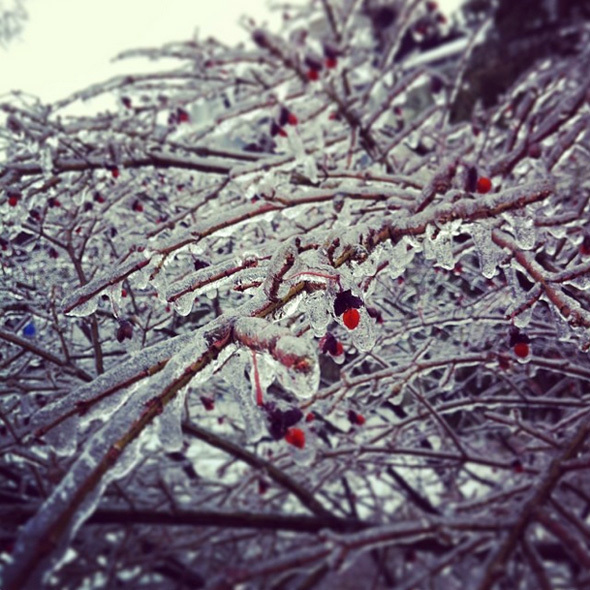 But along with the inconvenience and damage, the storm has brought with it some stunning scenes. 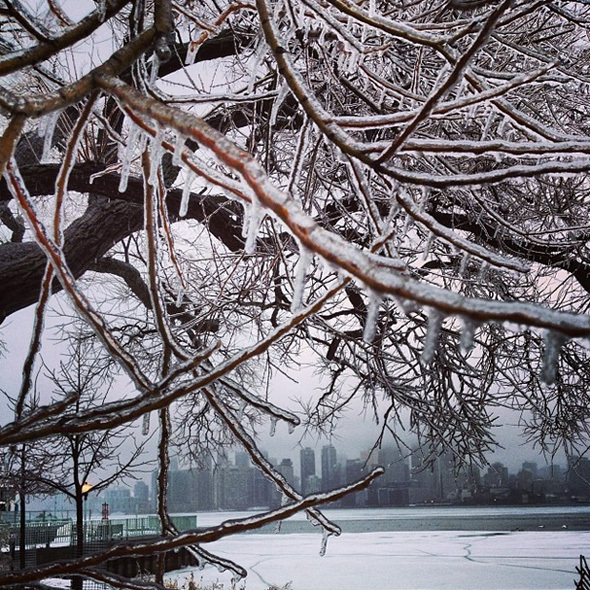 A city encased in ice is alternately beautiful and scary, and naturally people have been out in full force with cameras to capture the aftermath. 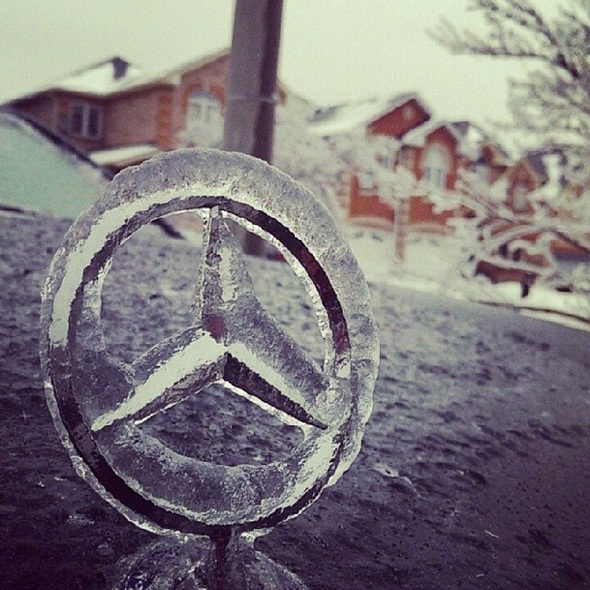 Here are some of the best photos to be shared with us so far. 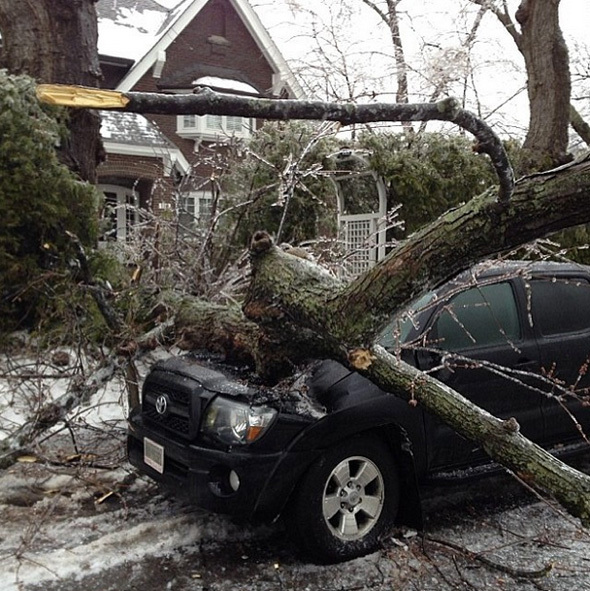 We'll be sure to add more should the forecast high winds cause even more destruction out there. 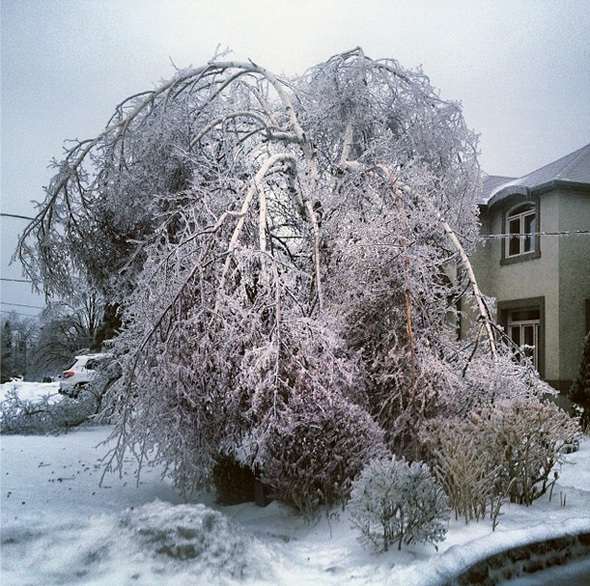 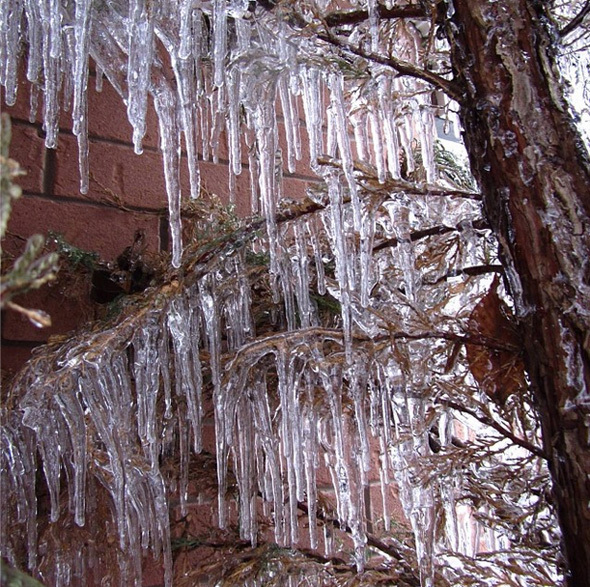 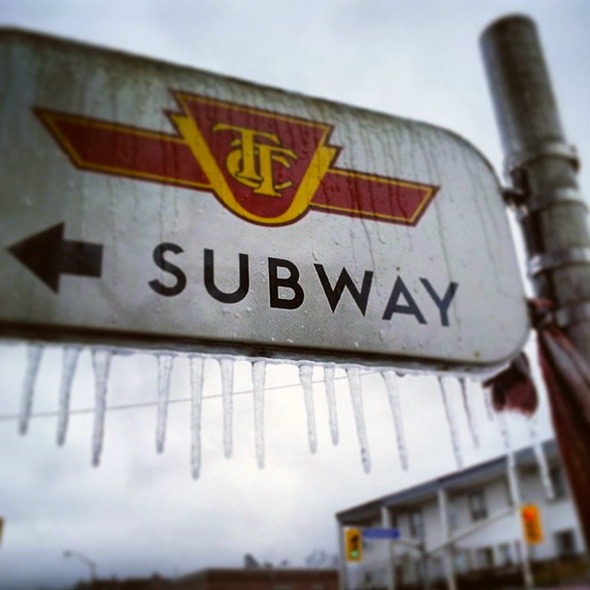 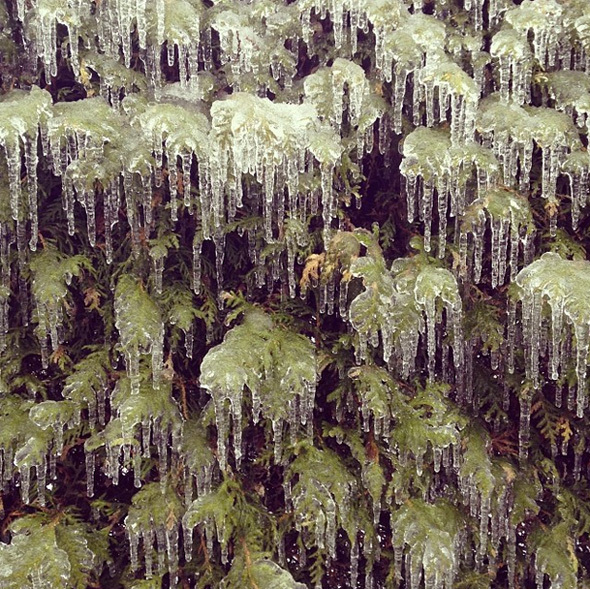 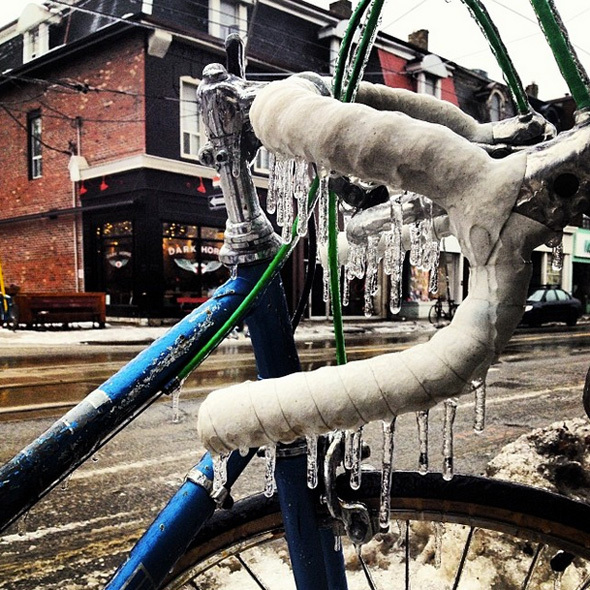 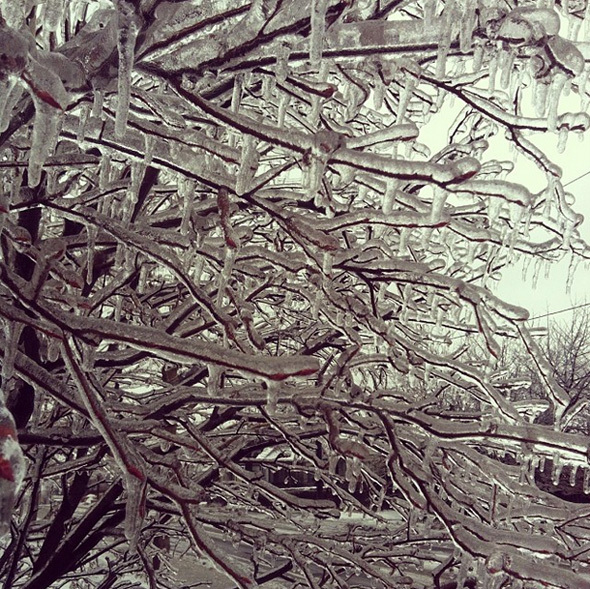 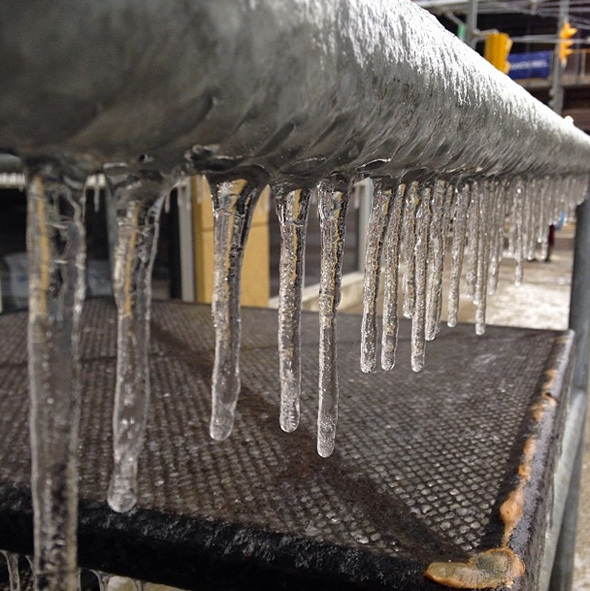 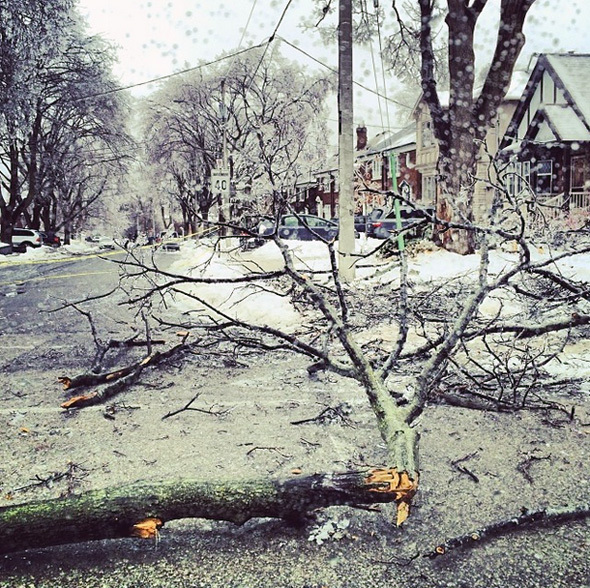 Check out our Toronto Ice Storm gallery for more photos of the icy weather.